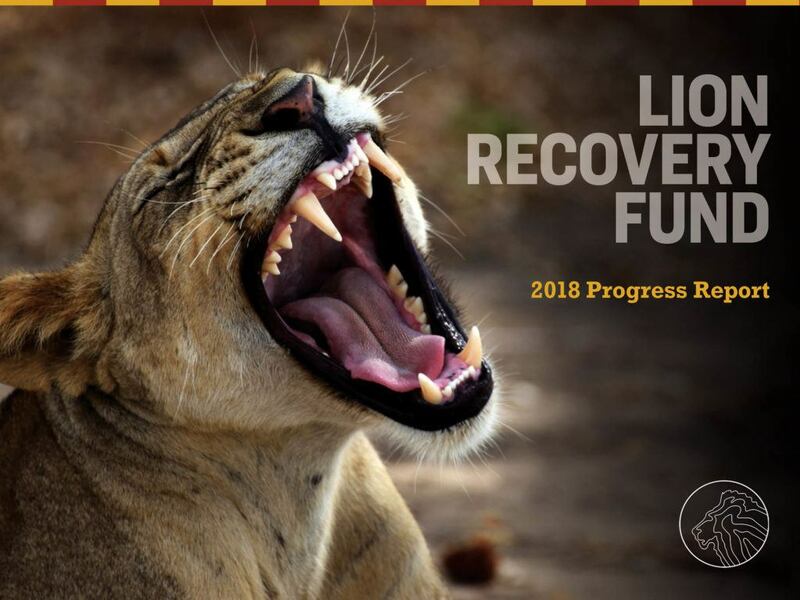 Today—World Lion Day— marks the one-year anniversary of the Lion Recovery Fund (LRF). The Wildlife Conservation Network and the Leonardo DiCaprio Foundation, launched the Lion Recovery Fund because Africa has lost half of its lions in just 25 years. The LRF aims to reverse that decline and bring lions back. Few people are aware of the crisis facing these iconic animals or that Africa now has fewer lions than rhinos. Fortunately, there are reasons to be hopeful—African countries have vast expanses of protected land that, if managed well, could support as many as three or four times the number of wild lions currently there. Lions are resilient and when they, their habitat, and their prey are protected, they can recover in numbers very quickly. We have supported projects that are protecting three of the four remaining populations of the critically endangered West African lion. We invested in securing some of the largest lion populations, such as those in the iconic Serengeti National Park. We have funded some genuine innovations, including a campaign against the consumption of bushmeat in Zambia’s urban areas and novel projects in Tanzania that use payments to incentivize local communities to live with and protect lions. You will find these highlights and more in our 2018 Progress Report. We want to extend our deepest thanks to our generous supporters for helping to make lion recovery possible. While the road ahead is long, the impact we are already seeing as a result of supporting the best ideas from the best organizations fills us with confidence and optimism for the future of lions.